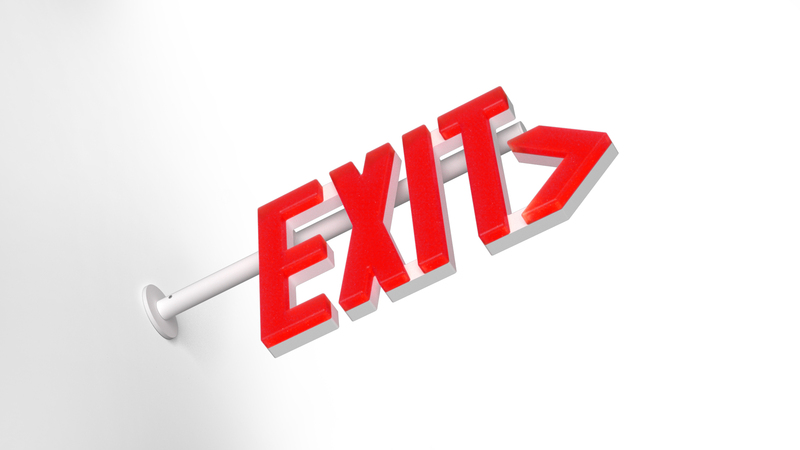 LELU is an award-winning exit sign component system designed and developed by architects. LELU is the first ever UL approved frameless exit sign design. 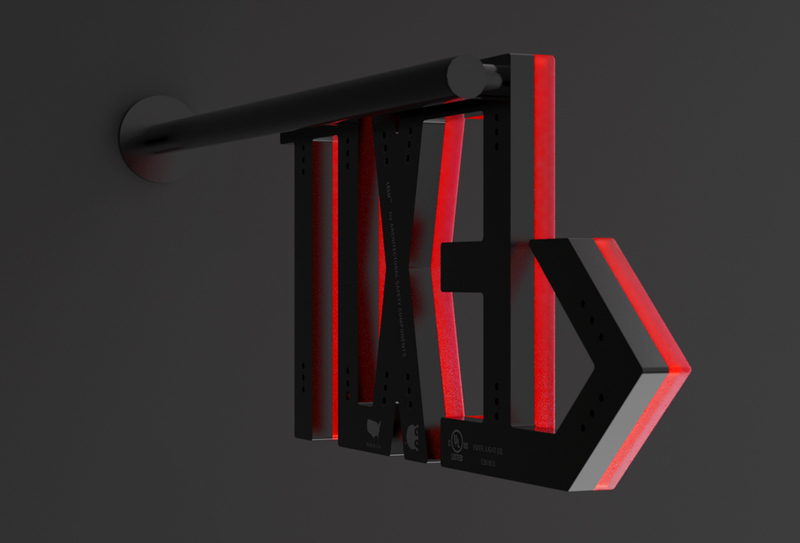 The first-ever UL Listed frameless exit sign. 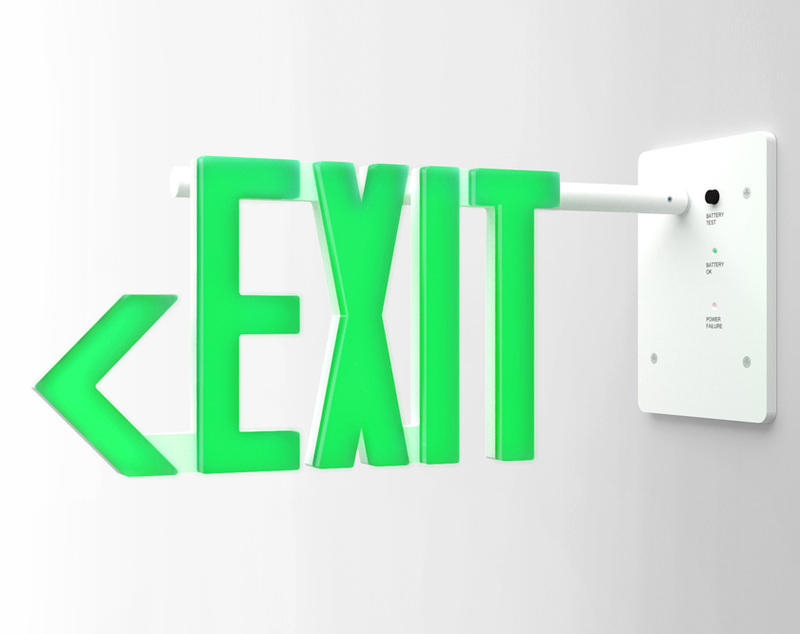 LELU is an award-winning exit sign component system designed and developed by architects. LED-driven and UL Listed, LELU is sourced and built to order in the USA. Each LELU is made from a system of components that addresses over five hundred design scenarios. Builds are available with top, back, left or right mounts, red or green lenses and a choice from a concise, versatile lineup of metal finishes. Available backup power options include both lithium-ion battery packs and dual circuit builds. The first-ever UL Listed frameless exit sign, LELU stands alone when safety, superior aesthetics, discreet graphic messaging and quality construction are desired. LELU exceeds the important life-safety function common to all exit signs, featuring high-quality materials, a minimal profile, robust construction and discreet mounting options. Your email address will be used to contact you only in regards to this quote request. ASC will never sell your personal information or use it for any other purpose. •Listed in the U.S. and Canada by Underwriter Laboratories (UL 924). •NFPA 101 compliant (Life Safety Code). •Designed and Made in Houston, Texas. •Dual voltage input 120/277 VAC, 60Hz, 9w max. •Maintenance free, sealed lithium-ion battery provides minimum 90 minutes emergency run time with 24-hour recharge. •Dual-circuit option available where required. •INTEGRAL: All electronics located directly in wall or ceiling adjacent to fixture with fixture mounted the face plate of the electrical box. Sign, power source, battery, battery test button and LED indicators are located together. •REMOTE: Electrical box is located up to 20-feet away from the sign, which is fastened directly to the wall or ceiling with aluminum escutcheon. The sign is remote from the power source, battery and battery test button. See Spec Sheet for more information. •Energy efficient compact LEDs provide bright, uniform illumination. •LEDs and lens are available in RED or GREEN. Consult applicable code compliance requirements. 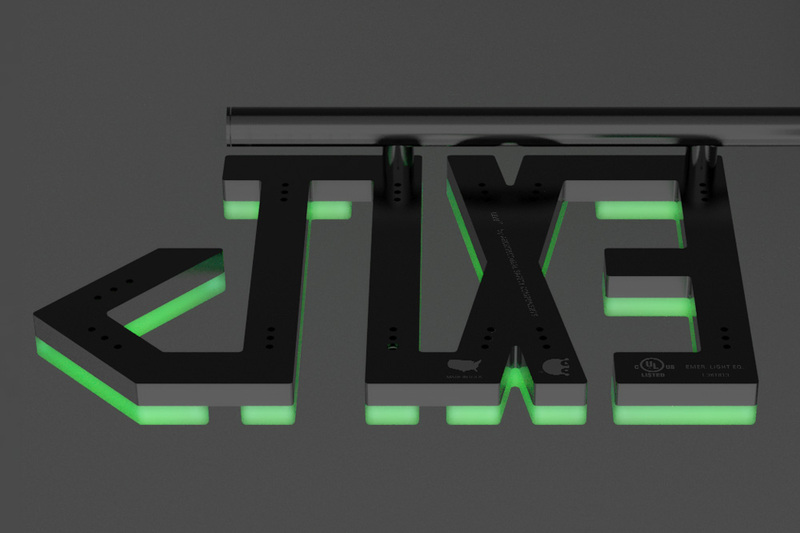 In order to maintain compliance with UL design standards, green exit signs may not be mounted adjacent to green surfaces and red exit signs may not be mounted adjacent to red surfaces. •Industry-leading 5 year limited warranty on fixture and battery. LELU, ELIS and the ASC logo are proprietary trademarks of Architectural Safety Components, LLC. Unless noted to the contrary, all trademarks, copyrights, and other intellectual property on this site are owned by Architectural Safety Components, LLC or its affiliates. Information provided by Architectural Safety Components, LLC is for educational and informational purposes only. © 2019 Architectural Safety Components.